When you hear about tea tree oil you probably think of your girlfriend’s new facial wipes, though these are not the only tea tree product out there and surely not every product is centralized towards women. Tea tree oil refers to the essential oils derived from the Melaleuca alternifolia tree, the Melaleuca is native to South Queensland and New South Wales, Australia. The main building blocks of the tea tree oil are beta pinene, alpha pinene, sabinene, myrcene, alpha-terpinene, limonene, cineole among other terpenes, this oil has been used by the natives of Australia for many centuries as a cure-all substance. Tea tree oil offers a plethora of health benefiting properties; this oil is known to be an antiseptic, antifungal treatment, antibiotic, antiviral and anti-inflammatory supplement as well as an excellent all-purpose household cleaner. Due to its popularity internationally, tea tree is now all over the world for everyone to reap the benefits of this powerful plant oil. The craze over tea tree oil is really no exaggeration as it truly can be used to cure most tropically derived diseases and infections. Tea tree oil is known to boost the immune system, though it is toxic to ingest. No matter the severity of an injury or disease, do not drink tea tree oil even if it is extremely diluted. In the tropics, bacteria, microbes, viruses and fungi are all alive and well causing thousands of infections and deaths in a year; luckily the medicinal plants used to treat these dangerous infections are also bustling with life. Nowadays tea tree oil is not just used for topical treatment of infections derived from the tropics, it is used worldwide for a whole host of bacterial, viral and fungal infections. If you are looking for something that can effectively fight fungal infection, then yes, you’ve guessed right, tea tree oil is an excellent cure. Tea tree essential oil halts and prevents the growth of fungus, it can also cure different skin diseases like dermatitis or athlete’s foot. Though it may seem tempting when you are at your ropes end with a terrible fungal infection, refrain from ingesting tea tree oil as it is extremely toxic. The balsamic ingredients within this essential oil can boost general health and influence the body to absorb nutrients from food. Tea tree also facilitates protection from many different diseases acting as shield for your body’s health. 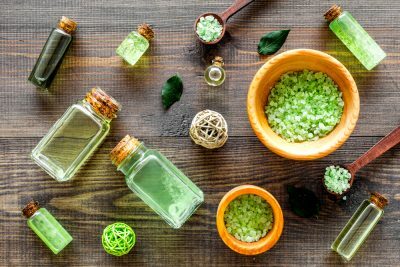 Antimicrobial properties of tea tree oil kill and prevent different microbes from entering the body, some of these microbes can cause severe, at times fatal, infections. When wounded adding a bit of tea tree oil to it will aid in a faster healing time and protect it from infection. If needed, this essential oil could also be used to lighten scarring. 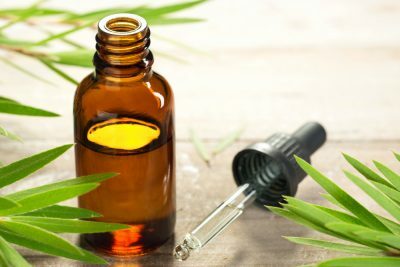 Tea tree oil is, as said before, a cure-all kind of substance; it is capable of aiding to cure viruses such as the chicken pox, shingles and herpes. Viral infections can be extremely dangerous and are mainly recurring due to the capability of many being able to remain alive under jarring conditions. These infections develop a protective shell around them called a cyst, cysts allow a massive amount of heat, cold and poison to be carried by the infection itself. Though it would be nice for viral infections to naturally die off, but alas, they do not. Viruses can lie dormant for years and years. The only true way for a virus to be killed is by rupturing the cyst existing around it. This is where tea tree comes in, simply utilize this as a topical treatment to whatever may be outside of the body, as per internal infections, dilute the essential oil in a pot of boiling water. The heat and boiling of the water will create a tea tree steam, with the steam place a towel over your head and lean over the pot after letting it cool for a while, this will create a sauna like effect as well as kill off whatever viral infection may be present. With tea tree oil being an excellent antiviral and antibacterial treatment, it’s a no brainer that it is also an excellent insect repellent/killer. 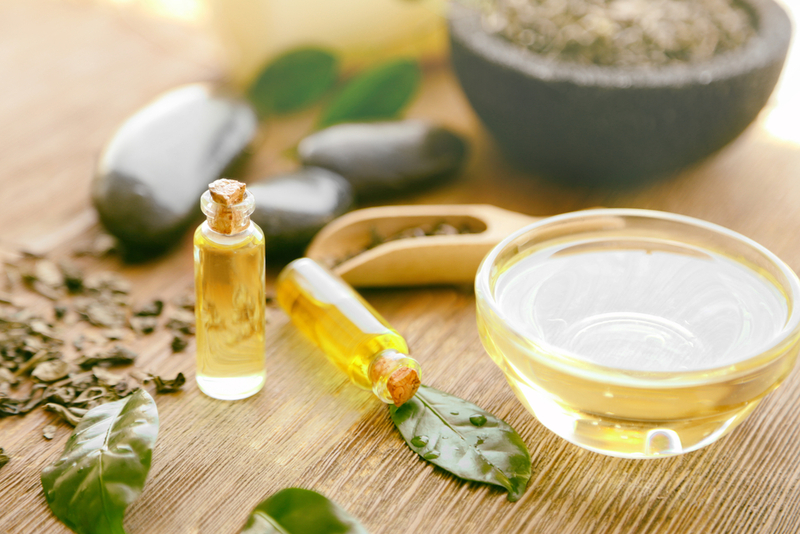 Tea tree oil deters parasites and other critters like mosquitoes, fleas, flies or lice from coming near the user, allowing for a bug free outdoor adventure. Though external insect threats are a huge no-no, internal insects may be even worse, luckily tea tree can treat these too. For an insect repellent, it is best to apply the essential oil to your skin directly. For internal insects like tapeworms, hookworms and roundworms it is best to use as topical and can also be used in vapor form, much like you would do for a bacterial or viral infection. Believe it or not, tea tree oil is an excellent all-purpose cleaner. To make a multi-purpose cleaner, mix 15 drops of tea tree oil with 1 quart of warm water, using a reusable spray bottle is suggested though using a recycled spray bottle works just as well. If you need a brawnier antiseptic cleaner, mix two teaspoon of tea tree oil with two cups of water, this is a great spray to use for bathrooms, tool benches, etc. Tea tree can be used as a laundry boost. The “cure all” is also the “clean all”. If laundry is heavily stained and dirty, things like towels and shop clothes, add 1 tsp. of tea tree to your load. The antifungal nature of the oil will kill any bacteria and fungi present that may have the potential to cause infection. This miracle oil can be used to clean and kill mildew, as it does have antifungal properties; to make a mildew spray, use an empty spray bottle, mix 1 cup of vinegar with 25 drops of tea tree. When you have mildew present in the kitchen or bathroom, all you have to do is spray the mixture on the affected area and allow a 10-minute wait period, proceed to wipe clean with a damp sponge and you’ve got yourself a clean surface.